I found this cool hollowed out bark in my yard when I was racking leaves. The termites had eaten the wood and left the bark. It was so interesting looking that I just had to keep it even thought I wasn't sure what I could use it for at the time. A month orso later, after I had planted my paperwhite bulbs on some pebbles and water, they had started to flop over as paperwhites tend to do. Bling!! 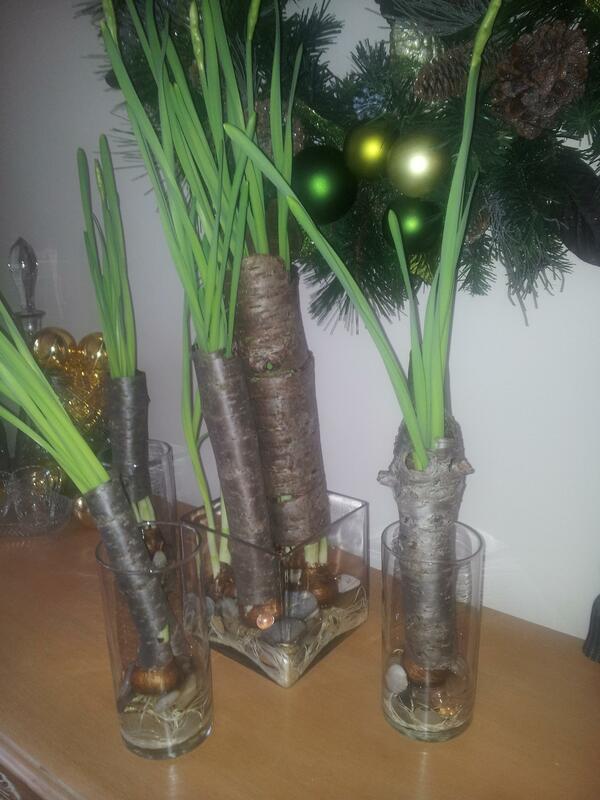 I suddenly had a great idea: Why not thread the leaves and the stems with buds about to pop, throuhg the hollw bark and they would make a great nartural looking support for the flopped over paperwhites.